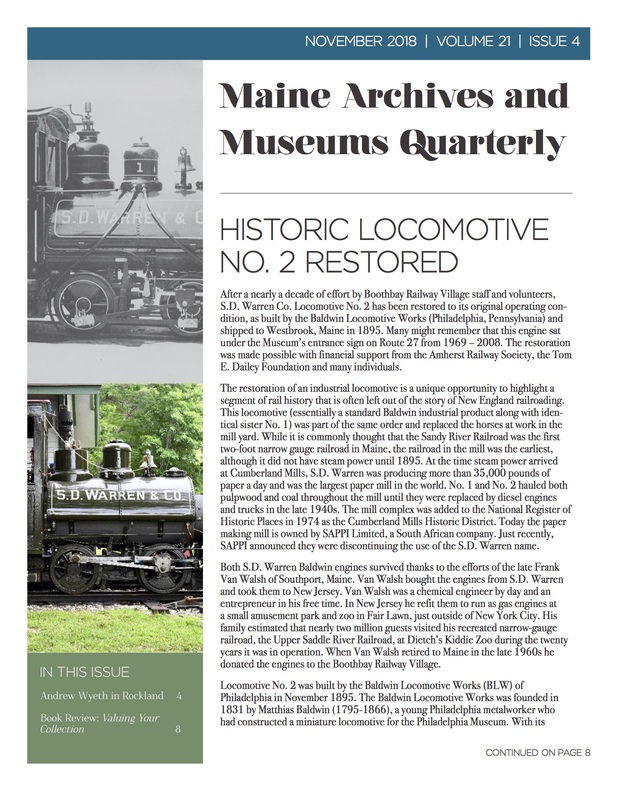 The Maine Archives and Museums Newsletter is a quarterly print and online publication produced by and for Maine’s community of museums, archives, historical societies, and other collecting organizations. The newsletter is direct-mailed to more than 300 member organizations and reaches an even broader audience online. 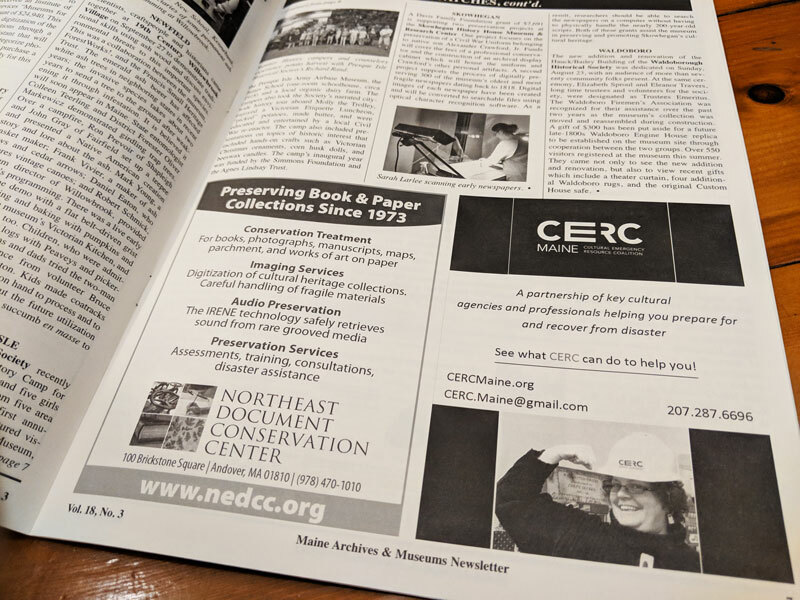 The newsletter is released in February, May, August, and November of each year. 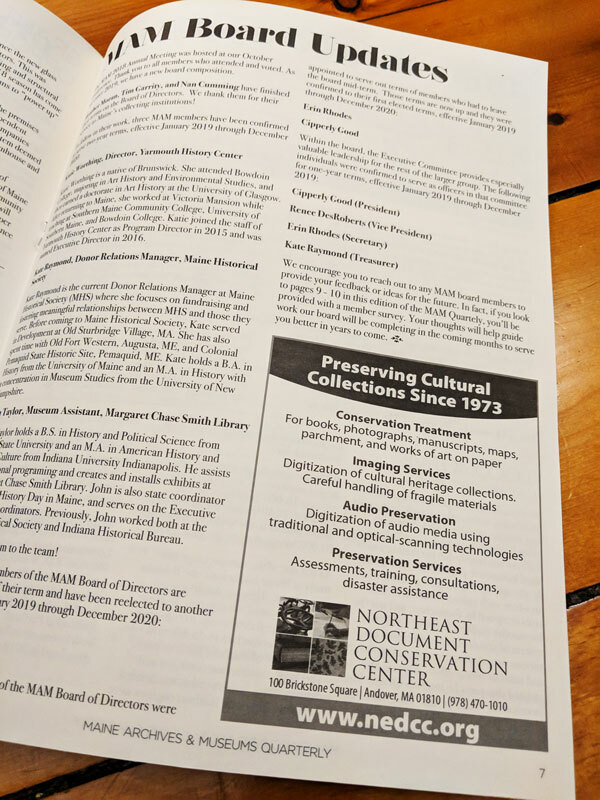 Typical features include articles on recent projects, exhibitions and major collaborations at or among member institutions; listings of grant-making and professional development opportunities; program offerings; and more. Advertising decisions are at the discretion of the newsletter editor. The editor may choose to exclude any advertisement that is deemed inappropriate or irrelevant to MAM’s community. Whether or not to include a commercial entity’s activities as part of an editorial feature is at the discretion of the newsletter editor. Commercial businesses are encouraged to purchase ad space to communicate promotions to our membership. Send print-ready image files and any questions to Lorraine DeLaney, MAM Newsletter Editor at ldelaney@colby.edu. Not a graphic designer? For an additional fee, we would be happy to design your ad for you. Just ask. For an additional fee, we would be happy to design your ad for you. Just ask! Members: Log in to activate the discounted pricing below. If you have trouble logging in, email info@mainemuseums.org.